2018: VHS is dead! If you don’t have a functioning VHS player any more, your only option is to buy second-hand devices. But if you still have old, valuable VHS videos (e.g. 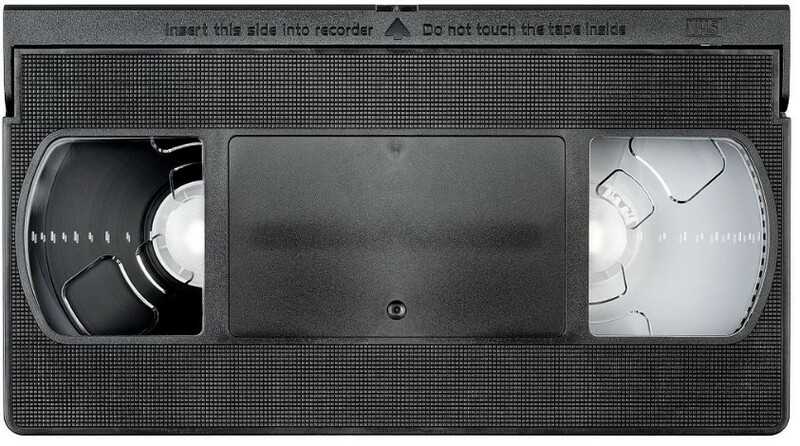 family videos) you should digitize them today, as long as there are still working VHS players around. 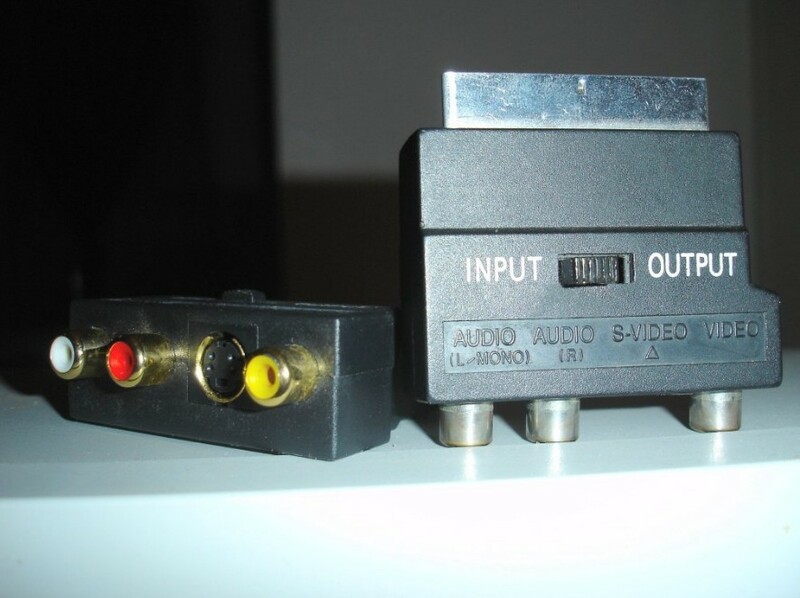 Our goal is to feed the audio/video (AV) signals coming out of an old VHS player into an EasyCAP UTV007 USB video grabber, which can receive 3 RCA cables (yellow for Composite Video, white for left channel audio, red for right channel audio). 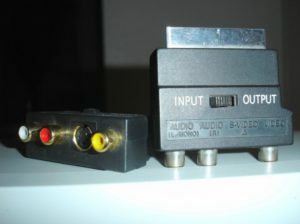 VHS players usually have a SCART output which lucklily carries all the needed signals. 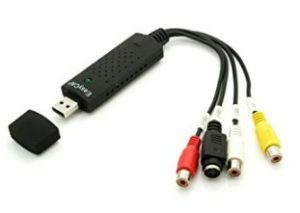 Via a Multi AV SCART adapter you can output the AV signals into three separate RCA cables (male-to-male), and from there into the EasyCap video grabber. 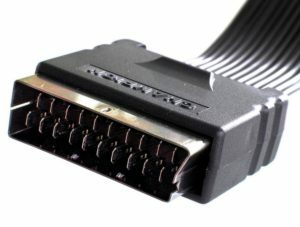 If your adapter should have an input/output switch, set it to “output”. alsa.name = "USBTV Audio Input"
alsa.long_card_name = "USBTV Audio at bus 3 device 3"
device.product.name = "USBTV007 Video Grabber [EasyCAP]"
device.description = "USBTV007 Video Grabber [EasyCAP] Analog Stereo"
To quickly test if you are getting any video, use a webcam application of your choice (e.g. “cheese“) and select “usbtv” as video source under “Preferences”. Note that this will only get video, but no audio. We will use GStreamer to grab video and audio separately, and mux them together into a container format. gst-launch-1.0 -e \ matroskamux name="muxer" ! queue ! filesink location=/tmp/vhs.mkv \ v4l2src ! queue ! x264enc ! queue ! muxer. \ alsasrc device="hw:3" ! queue ! audioconvert ! queue ! vorbisenc ! queue ! muxer. alsasrc device="hw:3" ! queue ! audioconvert ! queue ! vorbisenc ! queue ! muxer. Record some video and then press Ctrl+C. The file /tmp/vhs.mkv should now have audio and video. gst-launch-1.0 -e \ matroskamux name="muxer" ! queue ! filesink location=/tmp/vhs.mkv async=false \ v4l2src ! tee name=mytee \ mytee. ! queue ! x264enc ! queue ! muxer. \ mytee. ! queue ! autovideosink \ alsasrc device="hw:3" ! queue ! audioconvert ! queue ! vorbisenc ! queue ! muxer. You can adjust the video and audio bitrate depending on the type and length of video so that your file will not be too large. The nice side-effect is that the coarser the video encoding, the more of the fine-grained noise in the VHS video is smoothed out. Voila! You now should be able to record and archive all your old family videos for posterity! 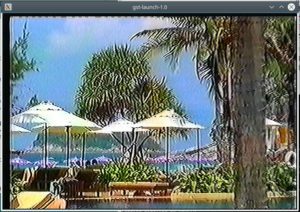 Digitization of VHS video with Gstreamer. Go forward as if there is a higher power — that’s your manifestation of faith. As if Being is benevolent and God is good. That’s the hallmark of courage.